Anyone who is trying to break into the world of search engines and social media understands that there is a lot of competition. In fact, there are nearly one million new websites created each day. This means that you have to fight consistently in order to rise in search engine rankings and improve overall SEO performance. Most businesses and brands do not have major budgets with which to work, which means that any efforts must be handled on a limited amount of cash. If you want to boost overall SEO performance while maintaining a sensible, small budget, then continue reading to find out how. Whether you are targeting keywords via Google or on social media, it is important to understand that one of the primary drivers of time and money is the number of keywords you intend to target. Quality content matters more than anything these days, but you can only spend so much time and effort on creating content using relevant keywords. Ideally, the keywords you target will not be the most contested in the niche. Additionally, you’ll want to consider elements such as localization and overall keyword length when aiming for ideal contenders. Long-tail keywords have become increasingly popular due to so many people pinging servers with shorter keywords; as search engines become more complex and responsive, targeting longer keywords and phrases actually will pay off. SEO isn’t just about how you optimize your blog posts and web pages: it’s about how you optimize everything. Many brands and bloggers forget to optimize their images as one part of a broader SEO strategy. There is no reason that each image added to your website shouldn’t be helping you to earn more potential clout in a variety of search results. There are three main elements to image optimization: alt text, image tags and file names. By incorporating some of the keywords you’ve selected into these fields – along with descriptive indicators – you can rest assured that your small budget SEO is still having a substantial impact in search. 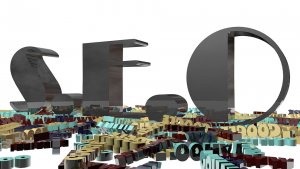 Building backlinks in today’s world of SEO can be both a blessing and a curse. Older backlinks may be harming your website, depending on when they were built and the overall level of quality the site that is linking to you. Google’s Disavow Tool is perfect for fixing issues with older backlinks that may be causing problems and penalties for you today. With regards to new link opportunities, there are many different avenues to consider. Guest posting is a common strategy, in which you create quality content for another website or blog (with the trade-off being a link in the content back to your website). Even small budget SEO operations that focus on quality content will naturally build new links over time, as more and more websites, blogs and even brands on social media share your content with their audiences. By building great links, optimizing images and being selective with keywords, you can be sure that you’re pinging servers with quality SEO indicators. These strategies – and many others – can be used by any brand to avoid massive costs associated with quality SEO campaigns and efforts.